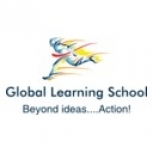 Global Learning School series is sponsored by Network of Indian Environment Professionals LLC which hosts "Indian Environment Network" http://www.paryavaran.com , home of Indian Environment Professionals from 2000+ organizations across the world. Join us as partners and help environment and development professionals create social innovations and change! Email us at ien@paryavaran.com and turn your content into Smart interactive Guides to share it with our network members.Beyond ideas...Action! Learn from this Case study from India on the critical role of community participation in successfully reviving a river. This interactive career guide for Indian Environmental Professionals surveys career positions in 50 awesome organizations. The directory collects weblink of organizations active in the Indian EcoMarket. Jumpstart your partner and career search here! This is an invaluable guide on Air Dispersion Meteorology that professionals would want to take it with them in the field.